MaraWatch. If you haven’t noticed, MaraWatch has stepped in as a UM Hoops sponsor for the next couple months. Owner Shashi Mara is a fellow Ross business school graduate and has the Wolverines Collection, which includes some truly extravagant timepieces. Each limited edition timepiece is made in Switzerland and is individually numbered. He also offers custom leather straps of the highest quality, made to your specifications. As a Michigan graduate and lover of quality watches, I know that I would love to get my hands on one. My favorite is definitely the Rainmaker with a brown strap (pictured to the right). Take a look at MaraWatch, browse the collection or e-mail MaraWatch to get your hands on one of the exclusive timepieces released this year. John Beilein, Bacari Alexander and LaVall Jordan were all in Mississippi on Monday afternoon to watch 2014 recruit Devin Booker (confirmed by Nick Baumgardner) against Greenville-Weston. Booker had 34 points in a 63-60 win over Greenville-Weston to continue his solid play this year. Booker is averaging 30 points per game this season although Moss Point has been up and down with a 9-12 record overall. While new schools have been involved in Booker’s recruitment, namely Duke, the Wolverines have been recruiting Booker as long as anyone else and continue to make Booker a priority in the class of 2014. Potentially complicating news in Booker’s recruitment stems from Jeff Goodman’s report that Missouri coach Frank Haith is facing an NCAA notice of allegations from his time at Miami. Missouri, where Booker’s father played, is considered to be one of the Wolverines’ biggest threats in the Booker recruitment. Booker is one of just two prospects (along with Trevon Bluiett) outstanding with a Michigan offer. The next tier of Wolverine prospects looks to include Vince Edwards, Ricky Doyle and AJ Turner. Michigan’s ranking is back up to No. 2 in the country according to the Associated Press but several key Wolverines have also seen their individual draft stock begin to rise just as quickly. 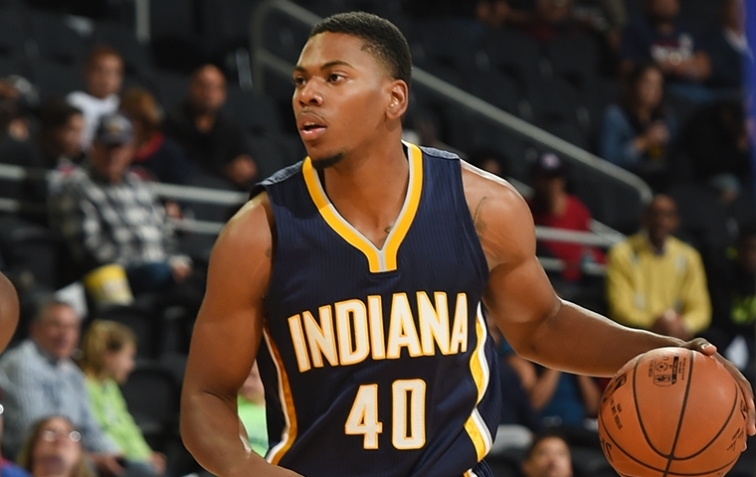 Glenn Robinson III is soaring up draft boards and is one of the fastest rising prospects in the country. Robinson is projected as the No. 13 pick in the 2013 draft by NBA Draft.net. Draft Express still projects Robinson in the 2014 Draft but also sees him as the No. 13 pick in that draft class. Chad Ford slots Robinson as the No. 25 prospect overall on his big board. The most impressive aspect of Robinson’s performance is that he’s been able to sustain the high level of effectiveness he displayed out of the gate. Here we are, a few games into the Big Ten season, and the 6-foot-6 freshman is still turning heads with games like his 20-point (7-of-11) effort against Iowa. Of course it surely helps that he plays alongside guys like Trey Burke, Tim Hardaway Jr. andNik Stauskas (see below). But Robinson is an outstanding offensive option in his own right and a very good defender. Above all else, he’s trustworthy. By my count Robinson has been on the floor for 874 possessions this season, and in that time he’s committed just 21 turnovers. While Trey Burke might not have Robinson’s ceiling, he’s emerging as a consensus first round pick and borderline lottery selection. Draft Express and NBA Draft.net both have Burke at No. 18 on their latest mock draft boards for 2013. ESPN’s Chad Ford has Burke at No. 17 on his big board. Trey Burke (18), Michigan. Might be The Minutes’ choice of the moment. Burke was a preseason All-American but wasn’t getting a lot of POY love then. He is now. The sophomore point guard can score (a team-high 18 points per game) and distribute (7.2 assists) while shooting excellent percentages (57 percent from 2-point range, 40 percent beyond the arc and 80 percent at the line). And his team is winning. Tim Hardaway Jr. has also earned praise from NBADraft.net sliding up into the first round of the 2013 Draft at No. 26 overall. Chad Ford is still somewhat skeptical on Hardaway’s improvement, with the Michigan junior in the 72nd slot on his top 100, and Draft Express has Hardaway as the No. 11 pick in the second round of its 2014 mock draft. Purdue out of scholarships to sign Robinson? Matt Painter hosted a teleconference on Monday afternoon to discuss Purdue’s upcoming game at Michigan this Thursday. One of the question hinged on why Purdue didn’t sign Michigan’s Glenn Robinson III, a legacy of Purdue All-American Glenn Robinson. Painter cited a lack of scholarships as the issue. “We recruited him. We actually ran out of scholarships. So, we really liked him,” Painter recalled. “He was a good player and really made strides from that sophomore to that junior year. He had a really good stretch there. He had a great high school coach and they do a good job in motion, so now going to Michigan and their system, it definitely fit. He’s a great kid, and he’s really worked hard. He’s got a great feel, knows how to play. The lack of scholarship reasoning is a bit hard to buy. When Glenn Robinson III committed to Michigan on September 14th, 2010 when Purdue had just two prospects in the fold (and would go on to sign two more in 2011). Robinson was being recruited by Purdue but Painter never pulled the trigger on an offer for what appears to be moreso a lack of evaluation at the time rather than a strict lack of scholarships. Joe Stapleton contributed to this report.